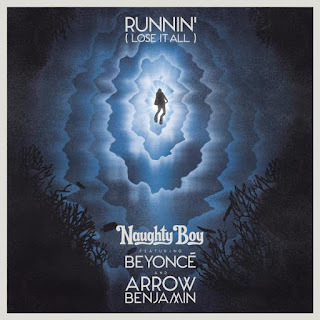 Beyoncé is featured on Naughty Boy's new single 'Runnin’ (Lose It All),' alongside Arrow Benjamin. According to Daily Mail, Bey heard the song on YouTube and fell in love with it so much that she reached out to Naughty Boy and asked for the original to be pulled in order to record it herself. 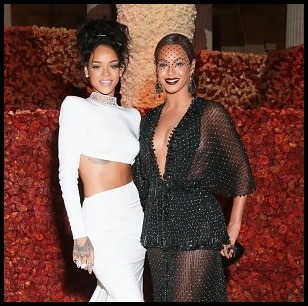 The song starts off in ballad form with Bey sweeping her powerful chops over dramatic piano and strings. Then it evolves into a fast paced drum and bass style beat, where it is her amazing vocals that dominate most of the song. The track itself is very Brit-pop and it's different from anything we've heard from Beyoncé, but I don't like it at all. It's good that she doesn't like to be boxed and prefers to experiment, but her voice is better suited to funk-filled R&B and Hip Hop songs. Fortunately, she is just the featured artist and hopefully this sound is no indication of what's to come with her next studio album.